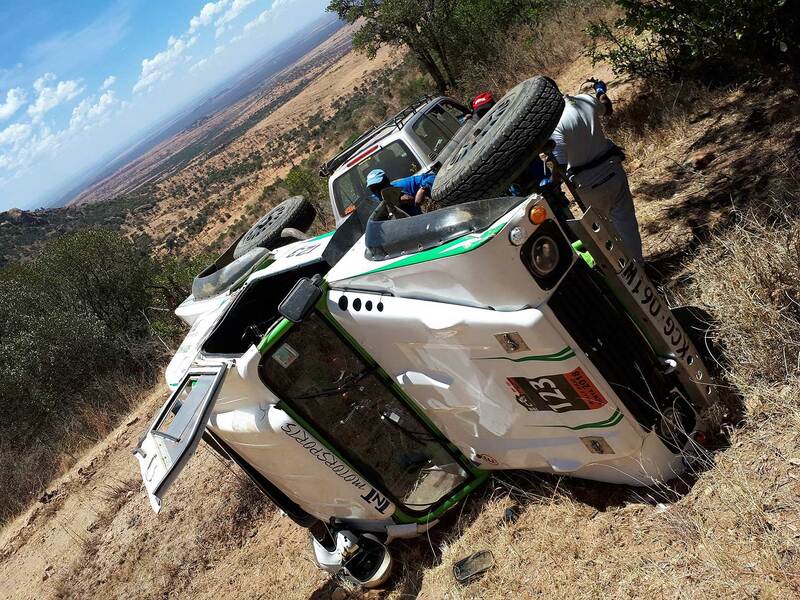 Saturday the flag dropped on the opening round of the "Fly SAX Fly540 Kenyan National Rally Raid Championship" with the "FlySAX Nanyuki Rally Raid". 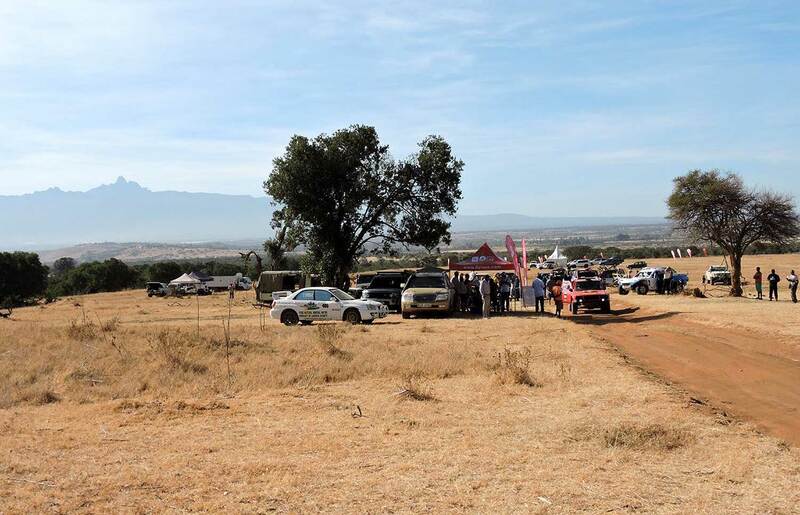 The event was based on the 200 km Loldaiga Ranch with SS01 held on last Saturday and SS02 + SS03 last Sunday (finaly report from Sunday will follow). 2017 Championship winner Ross Field lead the field away in his Centurion Racing / CRT Prototype. He had a good run, although was caught in the later sections by Carl "Flash" Tundo and Tim Jessop in their BMW M3 powered Milner R4 Prototype. Flash overtook Ross to roar into the final control only a few seconds ahead on the road, although over two minutes faster on the clocks with a time of 43:03 minutes. Ian Duncan and Page Morris pulled out the stops and were only 1:18 minutes behind with their Diesel-powered Toyota Land Cruiser Prado Pickup with Shivam Vinayak leading the Bikes trailing Ian by 31 seconds. However the talk of the bivouac was about Mark Glen and Patrick Garner with their CRT Prototype, starting on 8th position and finally winnig the first Rallyday by 30 seconds in front of Tundo / Jessop and Duncan / Morris. Joost Zuurbier was going well in 6th he had to revert to his smaller turbo after damaging his turbine in testing – although with a CRT in his sights only a minute ahead he was last heard muttering that it is time to turn up the boost. Vincent Boulanger had a challenging day, his CRT had only arrived in the country yesterday (the customs stickers were still on the side of the car!) Gearbox problems hampered progress and was 6 minutes behind at the end of the day. Jon Bovard in his battered Rhino Charge Car (they had to attack the roof with a hammer to get through scrutineering) was last seen in a state of shock at the way he was overtaken by Mark Glen and was talking about needing bravery pills to step up his pace on Sunday. John Rogers and Ameett Matharu were on great from in the bivouac even though their result did not perhaps reflect their performance on the time sheet. 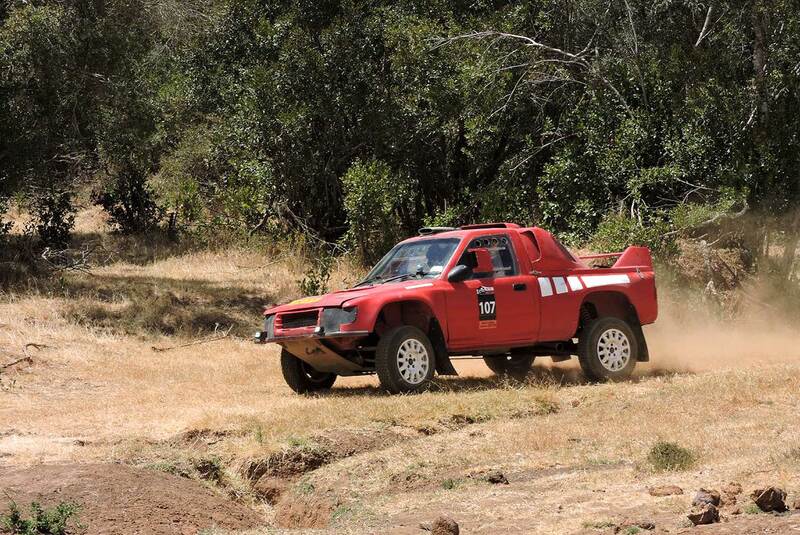 Their new car ran without problem (a first in their raid history) and they were working well as a team – unfortunately they wrong slotted 4km from the end resulting in a 20km detour. Justin McCarthy had a good run with his new navigator Guy Keeble – although it took them some time to work out that if Guy wasn’t sitting on the GPS the signal would improve. Nish Lakhani - had a scare with some big bangs and clanking in his car – only to realise it was an old discarded bolt bouncing around the inside the cab. Nish was regretting not testing the new suspension as it needed some more setting up.